So, what can you expect? 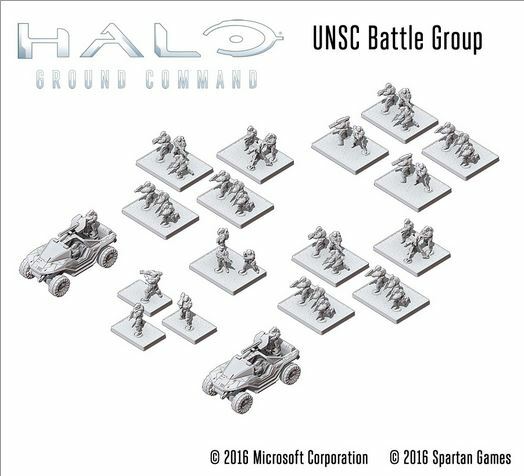 Well, the UNSC gets a Command Base, 2 trooper units, a fire support unit, 3 Spartan bases, and 2 Warthogs. 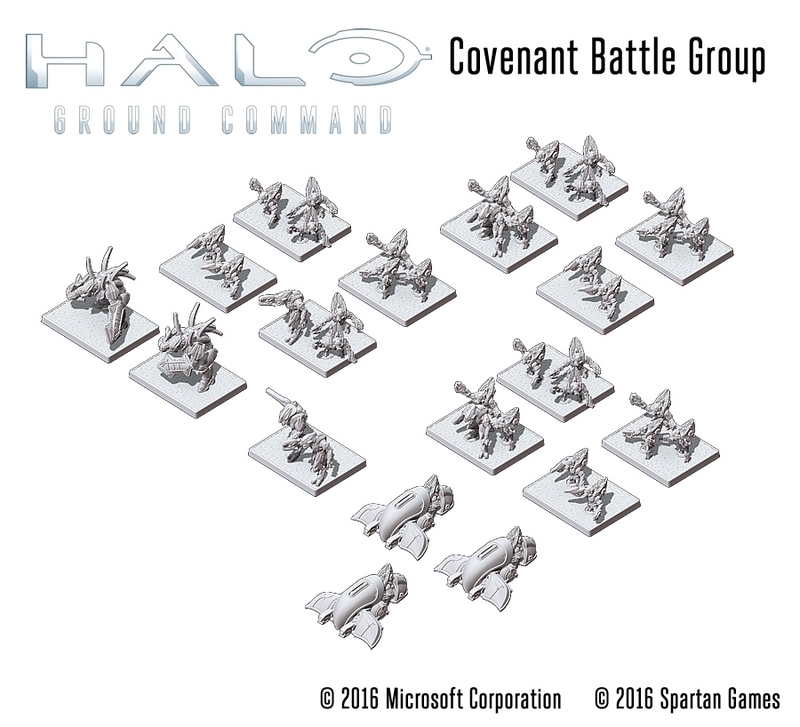 Meanwhile, the Covenant will be countering with their own Command Base, 3 Grunt Units, a HunterUnit, and 3 Ghosts. What else comes in the box? 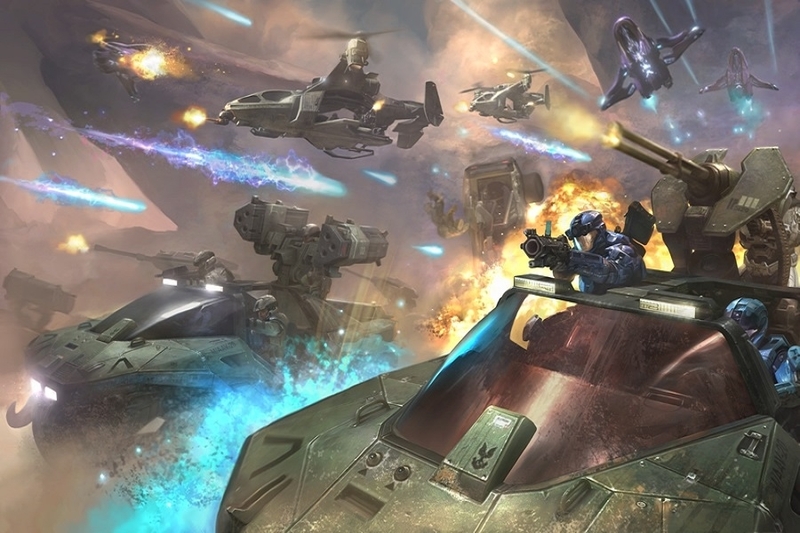 There's the rulebook (as you'd expect), stat sheets for all the figures, all the dice you'll need for the game, tokens, templates, and even some scenery. The games will be shipped to distributors on July 20th, with direct sales to customers on the 27th.